On the 24th of February 2017 The Guardian newspaper published an article by Patrick Barkham announcing a volunteer drive by the Wildlife Trusts aiming to recruit 5000 volunteers, whose duties would include trapping and bludgeoning to death grey squirrels https://www.theguardian.com/environment/2017/feb/24/red-squirrels-5000-volunteers-sought-to-save-species-and-help-kill-invasive-greys (accessed 28/03/2017, also available in screenshot format). Letters to the Guardian, at least one published https://www.theguardian.com/environment/2017/feb/28/why-we-should-see-red-over-this-grey-squirrel-cull?CMP=share_btn_fb (accessed 28/03/2017, also available in screenshot format). Complaints to Wildlife Trusts, both in writing and online. All of them received a standard response (available if necessary), not really addressing the issues raised. In some cases, e.g. 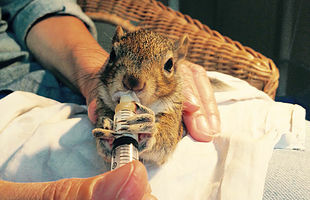 Urban Squirrels, the complaint was then taken to the Charity Commission, but it was not allowed to proceed. Low ratings and bad, though uniformly polite, reviews on the Wildlife Trusts Facebook page. When the rating sank to 2.3 the feature was removed from the page, together with comments. No screenshots were, unfortunately, taken. Two petitions, one on Change.org, https://www.change.org/p/the-wildlife-trusts-stop-the-culling-of-grey-squirrels (accessed 28/03/2017, also available in screenshot format) that was stopped in order to focus on the other, more successful, petition on Care2, and the actual petition on Care2, Courtney Scattergood’s http://www.thepetitionsite.com/takeaction/931/766/296/ (accessed 28/03/2017). Courtney had a meeting with Wildlife Trusts on Wednesday the 22nd of March 2017. Two surveys on Focusing on Wildlife, the results of which were 73% and 69% against the cull. Please note that the descriptions of the issues to vote on were pro-cull. 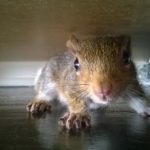 http://focusingonwildlife.com/news/poll-should-the-wildlife-trusts-campaign-to-slaughter-grey-squirrels-be-stopped/ and http://focusingonwildlife.com/news/poll-should-the-grey-squirrel-be-culled-to-protect-red-squirrels/ (accessed 28/03/2017, also available in screenshot format). The reaction was acknowledged as a “public outcry” by The Times newspaper, in an article published on the 17th of March 2017 http://www.thetimes.co.uk/article/public-outcry-at-grey-squirrel-massacre-planned-by-charity-vwvbkdcq3 (accessed 28/03/2017, also available in screenshot format). In an interesting interlinking development, both the The Daily Mail and The Times published articles describing the initiative by Prince Charles to facilitate the development of GonaCon, synthetic immune-contraception that could drastically lower grey squirrel numbers http://www.dailymail.co.uk/news/article-4256138/Charles-backs-bid-secretly-sterilise-grey-squirrels.html and http://www.thetimes.co.uk/edition/news/prince-of-wales-backs-mass-sterilisation-of-grey-squirrels-ncgstkh28 (accessed 28/03/2017, also available in screenshot format). GonaCon features in the Forestry Commission’s Plan of Action in relation to grey squirrels https://www.forestry.gov.uk/pdf/Grey-squirrels-policy-and-action-plan.pdf/$FILE/Grey-squirrels-policy-and-action-plan.pdf, (downloaded from the website 28/03/2017, the website last updated 24/03/2017). APHA, the Defra department responsible for the development of the drug, refused to comment when approached by Urban Squirrels, but a freedom of information request can be sent to them if necessary.